Despite the positive theme of the video, there was a social media backlash. Bevins contention that children in “this section of town” would not typically be involved in chess hit a sour note. He was later berated by David James, a councilman representing District 6. James accused the governor of having a narrow view of his district. 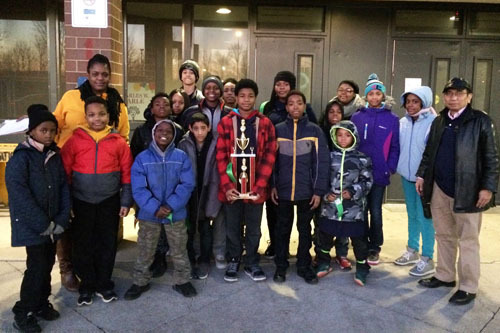 After the video clip went viral, many begin to repost various articles and photos showing youth chess activities within the Black community. The point was clear that perhaps there was a gross misconception about the lure of chess and its wide reach. While it’s not clear if Governor Bevin was referring only to Louisville’s West End or “inner city” areas in general, it shows that these prevailing perceptions persist. 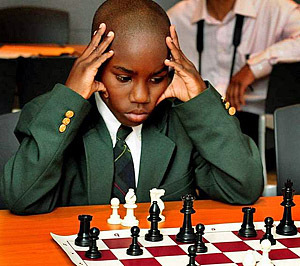 While non-traditional sports such as golf, tennis, fencing, gymnastics, swimming and ice-skating have seen all-time great champions from the Black community, chess still struggles for a breakthrough at the top. Even poker has its iconic figure in Phil Ivey. Chess Grandmaster Maurice Ashley has had the highest visibility since earning the coveted title in 1993. A 2016 inductee of the U.S. Chess Hall of Fame, Ashley has helped to provide national exposure, but chess rarely makes the news cycle. While African-American chess players have been traced back into the 1800s, it was initially a game of the aristocratic, elite class. That has changed dramatically over the past few decades, but the outdated perception remains to this day. The game did not make significant inroads into the Black community until the rise of the prodigy Bobby Fischer during the late 1950s and 1960s when the first Black chess masters emerged. The Fischer-Spassky match in 1972 set off a wave of interest, and the number of Black chess masters rose dramatically during the 1980s. 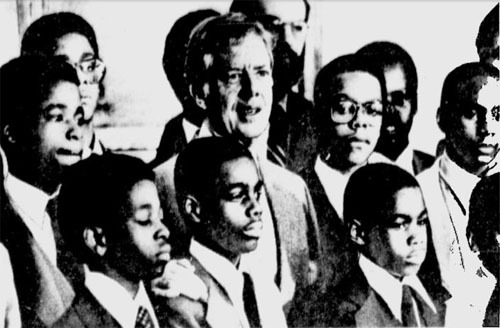 Philadelphia’s Vaux Junior High School chess team at the White House with President Jimmy Carter in 1979. The team won six consecutive national titles from 1977-1983. The question is why there is such a perception that Black children have less interest in chess? Is it because they are shown excelling in athletics so often? Is it due to the prevailing, but the false stereotype that chess is the game of choice for socially-awkward “nerds”? Is it that chess is perceived as a snobbish activity for the upper-class Caucasians? Is it the notion that Blacks are less interested in these cerebral activities? Chess still suffers from stereotypes, but it has become a game for the young over the past 20 years. Demographically all of the various ethnicities, nationalities, income classes and educational levels are represented. That being said, Blacks are still underrepresented, but the enthusiasm for the game remains high. 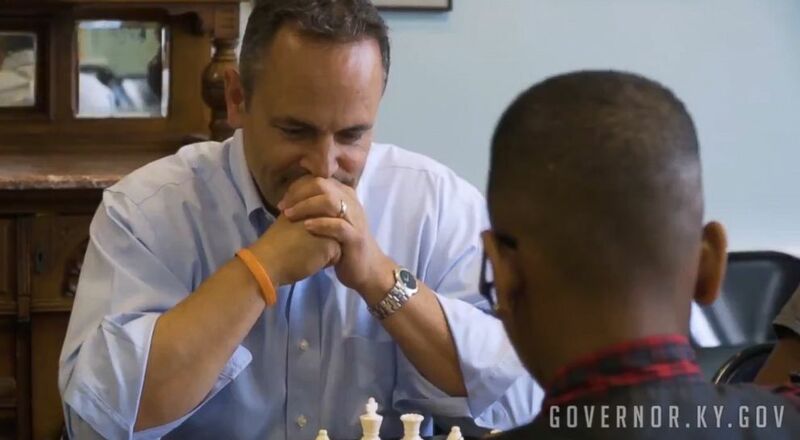 In fact, the Louisville chess community had just released a news story about their activities in the community weeks before the governor’s comment. Azola Martin of Detroit City Chess Club. Photo by Ricardo Thomas/The Detroit News. While the governor’s comments were scripted, they did show a palpable amount of ignorance and naivete. The main issue undoubtedly demonstrates a lack of awareness, and it may very well be the fault of the chess community for not illustrating the vibrancy and attraction of the game among all demographics. During the social media controversy, a number of these articles were reposted and retweeted, some from this site. It is understandable that the non-chess public would have no reason to visit The Chess Drum or a chess site in their spare time unless they are conducting research or helping their chess-playing child. Unfortunately, the mass media often elicits an expression of amazement when chess is played in the “inner city.” It is high time that the chess community does a much better job of extolling the joys of chess to show its universality.